Имате въпрос към Hotel Abant Shizuoka? Удобно проектиран като за бизнесмени така и за почиващи туристи, Hotel Abant Shizuoka е идеално разположен в Шизуока - една от най-посещаваните части на града. Хотелът се намира на от центъра на града и осигурява достъп до важните места на града. С удобното си местоположение хотелът предлага лесен достъп до всички градски забележителности, които задължително трябва да се видят. Възползвайте се от богатството на ненадминатите услуги и удобства в Шизуока. Хотелът осигурява безплатен WiFi достъп във всички стаи, обществена пералня, пощенски услуги, 24-часова рецепция, Wi-Fi връзка в общите части, за да гарантира комфорта на своите гости. 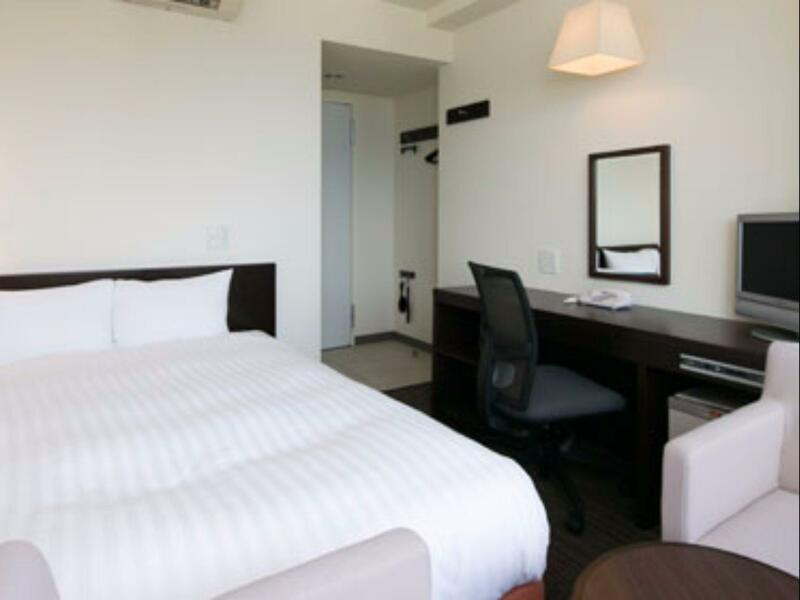 Атмосферата на Hotel Abant Shizuoka се усеща във всяка стая. Удобства като телевизор с плосък екран, килими, стойка за дрехи, безплатен чай, овлажнител са само някои от даденостите на обекта. Възможностите за отдих, които хотелът предлага са масаж, които също предоставят бягство от ежедневието и предразполагат за пълна почивка. Каквито и да са поводите за Вашето пътуване,Hotel Abant Shizuoka е най-доброто място за престой, което можете да изберете в Шизуока. The location of the hotel is quite a short walk from the main train station. Easy to access and heaps of food and services surrounding the area. The service at the hotel was fantastic. I arrived early from another prefecture and they held my bags at the lobby. When I returned to check in, my suitcases were already brought up to my room and placed neatly to the side. The room facilities and amenities were very good. The room was very clean. I stayed in a true non-smoking room. Staff were excellent and very helpful when I had arrived. I will come back to this hotel again and recommend it to my friends and family. Staff were professional and friendly. 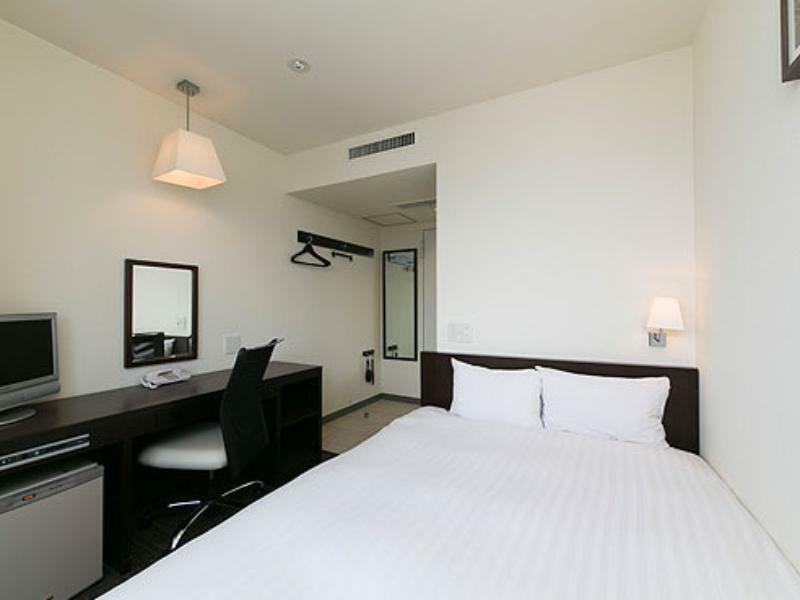 The rooms were bigger than usual for business hotels in Japan. The bed was firm and the shower powerful, which I really appreciated. My only criticism was the hotel was a bit grubby. 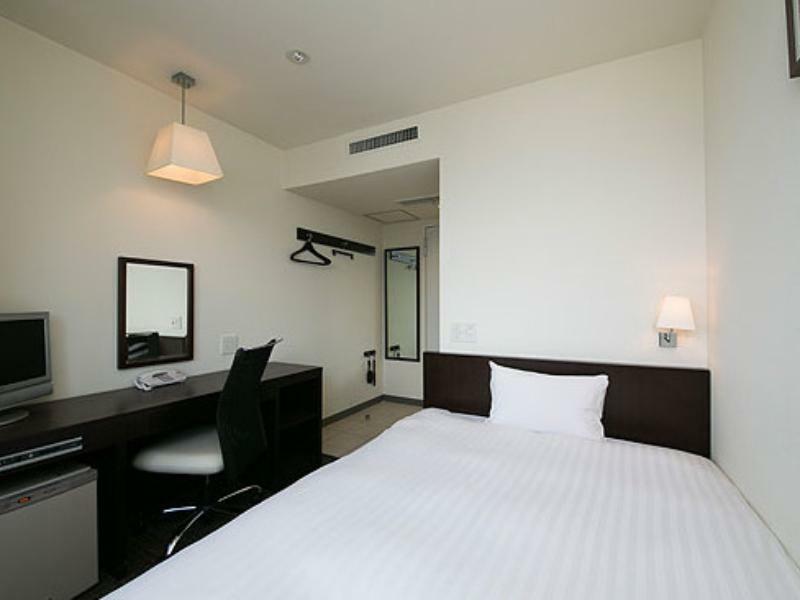 Easy to locate and relatively near to train station. Room was big and clean. 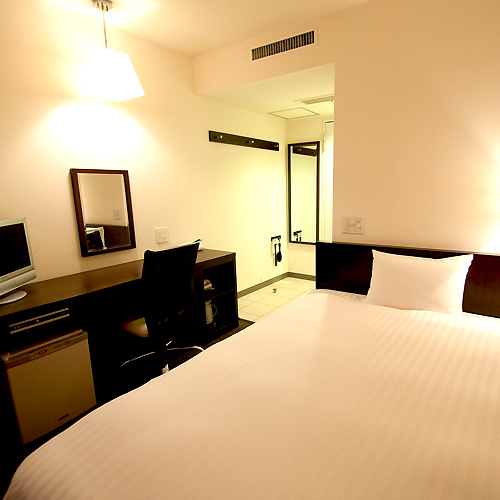 Good location and comfortable stay. Reasonably large room of modern furniture. Even though the outside looks quite old and the room is quite small, this hotel is a 5 star hotel to me. It is cheap and clean. Staffs are so friendly and the location is so good. With the very cheap price, I have never seen any hotels in Japan could provide us very good breakfast like this. They also offered us to use extra provided toiletries and Japanese manga at reception. 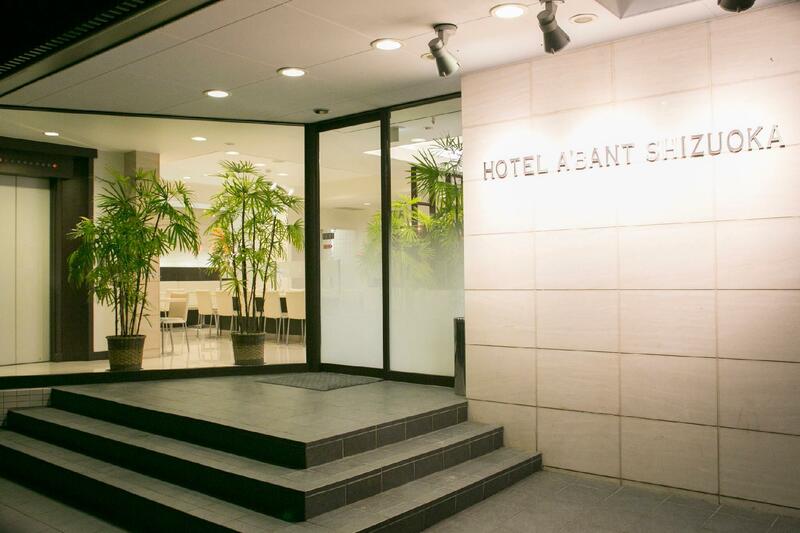 This is our very first stay in Hotel Abant and first visit in Shizuoka. We had booked 2 rooms for 4 people and rooms were clean and everything was good and taken care of. There was sort of a 'Spring' festival going on during our stay, the Japanese were dancing all day & night! And it happened to be the strawberries season and we bought some and enjoyed the truly sweetness of Shizuokan grown strawberries! Overall, we truly enjoyed our stay in this hotel! Good location, several choices for shampoo and conditioner, decent breakfast. Right at the edge of Shizuoka urban area. Very close to Shizuoka station. Two carparks next to the hotel. You can pick whatever shampoo you like from the front desk. lol. Nice spacious room with city view. Our deal included breakfast and they have a real espresso coffee machine which was a bonus for us... a standout amongst all the places we stayed. The location is excellent, walking distance on the important places and easy to find. Staff are very helpful and accomodating and they speak english. The room is not that big but juat enough dor luggages. I love the bathroom, it is very important to me. The free breakfast is great, they have breads, egg, spam, sausages, burger patty, vegetable, cornflakes, coffee and juices. Highly recommended. I will stay here if I go back to Shizuoka. Cheers! Pros: Closely located to the train station and malls Breakfast provided You can choose from a variety of shampoos at the counter (like in a hair salon) Cons: The staff is rather stand-offish, very quiet The lady responsible for breakfast was a annoying; she kept watching us and telling us we weren’t using things properly, such as the coffee machine for instance, and hurrying us to finish up before the closing time. The air con didn’t work properly so it was really hot and stuffy in our room. The hotel is also quite old. 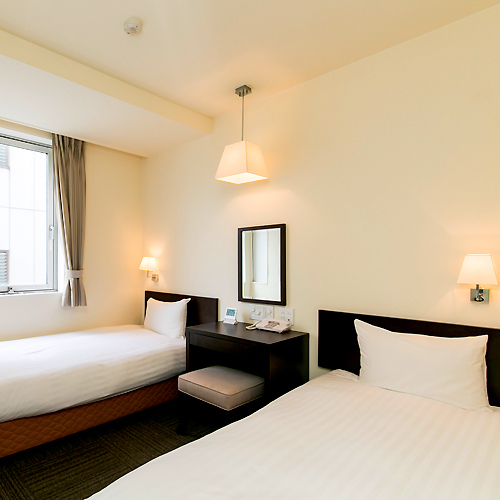 Bed is hard, and room is small, but I stayed only one night so it was ok.
10 minutes walk from Shizuoka station.Room was tidy and pretty decently sized for Japanese standards. It rained heavily and the front desk staff gave me an umbrella as a gift. i really appreciated the gesture. 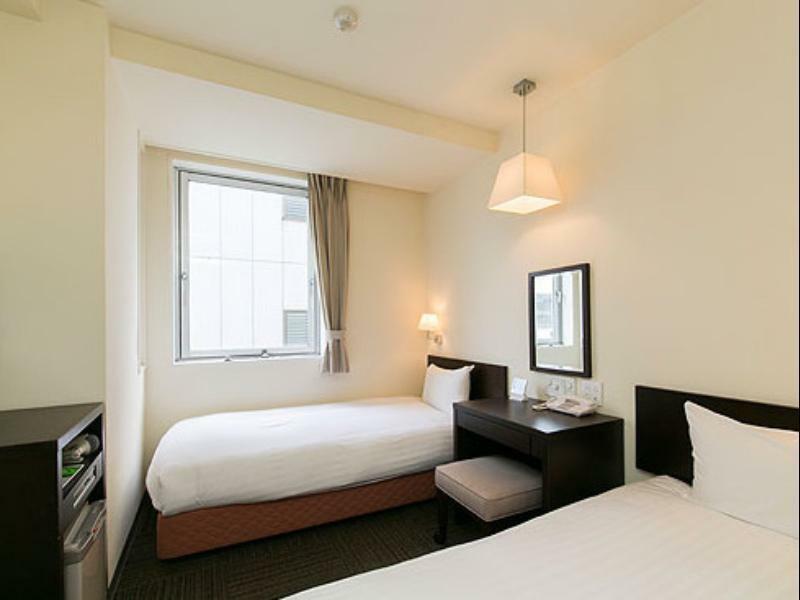 Reasonable price, good location 800 m. from JR Shizuoka station.